Ward Law Group, PLLC has experience in all aspects of personal injury. Our attorneys and claims administrators will handle your case from top to bottom. We have handled the most complex, serious and lengthy injury cases. We also routinely handle standard cases like car accidents which can result in varying levels of personal damages and ongoing effects. No matter the severity of your injury or accident our Manchester NH based personal injury attorneys give the same hard work, dedication and determination in every case they handle. Vehicle collisions are a daily occurrence on the roadways and highways of America. From busy city streets, to quite country roads, and nomatter how sever the crash, having a personal injury lawyer in your corner will make the process much easier. You will have more time for recovery, while our injury attorneys deal with the insurance companies and other parties involved. Victims who suffer injuries caused by other drivers may be able to recover financial compensation through personal-injury claims, providing some help and financial repair for the damage caused. 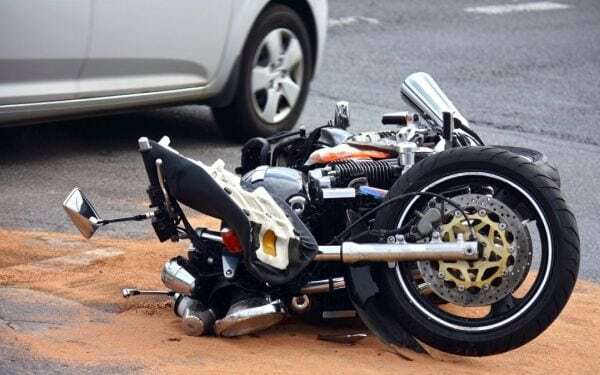 While some of the highest injury and fatality rates, motorcycle accidents nearly always necessitate the financial compensation that is awarded through successful personal injury claims. Unfortunately insurance companies do everything in their power to pay motorcycle riders as little as possible. Our Manchester NH personal injury attorneys have helped numerous riders with settlements for their cases throughout the entire state. The injury lawyers at Ward Law Group handle cases on a contingency basis, meaning we do not charge you a dime unless we win for you. Injuries which cause severe, long term, or life altering damages to an injured person. Most catastrophic injuries result in long term, if not life long, medical care accompanied by substantial medical costs. Catastrophic injuries also have the potential to create extensive financial and emotional burdens. Dog bite attacks are a frequent and serious problem. Each year thousands of people are victims of dog bite attacks. Under New Hampshire law, the owner or person in control of the dog who injures another person is held accountable. Slip and fall accidents are among the most common type of injury causing accidents that occur on other property. When it can be proven these accidents were caused by a property owners negligence or failure to provide safe conditions, the owner or insurance company of said property can be held liable for compensating victims. Premise owners by law are required to ensure that their business or property is safe for guests and visitors. When invitees are injured as a result of the failure to meet the standards victims can pursue legal actions against them. Our personal injury lawyers will fight for you if you have been wrongly injured. Every year thousands of patients at America’s hospitals, clinics, nursing homes, and rehabilitation centers are injured due to negligence and bad care. Doctors, nurses and others in the healthcare industry are required to uphold certain standards of practice. When they fail to do so, patients can seek a recovery of the damages by filing medical malpractice claims. If a loved one has been killed by the negligence of another party, you are entitled to financial compensation for the loss of income and other damages associated with the loved ones passing. There are time limits for filing wrongful death claims so don’t delay contacting an attorney. If you or a loved one has been the victim of such an accident, no matter how serious or mild, it is strongly advised that you get legal representation to assist you through the claims process. You are at risk if you accept a settlement without an attorney as if you later discover that you need further treatment, you cannot go back and try to get more compensation. Many injuries are more serious than they appear at first, and it is important that you have an attorney familiar with all types of injuries, treatments, current law and the claims process. Our team will stand firm for our clients and seek fair compensation based on the actual damages suffered in the case. If your case does not result in a settlement or verdict, no fee or reimbursement of expenses is required.